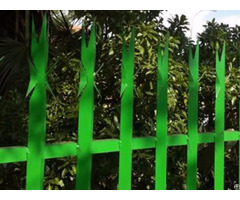 Established in 2006, Anping Paulta Palisade Fencing Co., Ltd. has over 10 years of experience in manufacturing and exporting metal fencings like steel palisade fencing, chain link fencing, welded wire fencing and field fencing. Since its foundation, our company has been focusing on providing high quality and most competitive prices to every client. Owing to these years' hard work, solid partnerships have been made with the contractors and distributors from UK & South Africa. 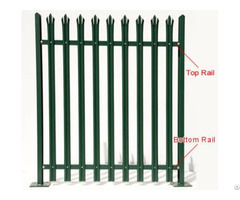 At the beginning of its startup, our company is smaller and weaker compared with large fencing manufactures in China. However, we are always insisting high quality and considerable after-sales service to win customers' trusts. Under this principle, our company is developing and getting larger. However, putting customers' satisfactory is always our pursuing goal. Through 10 plus years' development, we have been an important steel fencing exporter in China. Stable quality, considerable services like installation guides, competitive price, and prompt delivery time help us win a lot of clients. 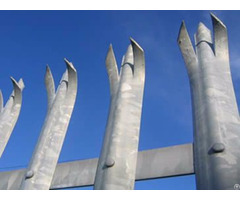 Metal palisade fencing is recognized an important member of security fencing system. 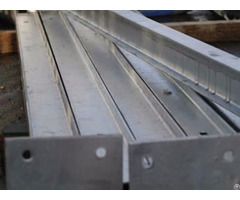 It's made of corrugated sheet in "W" or "D" sections or angle pales connecting to hot-rolled angle steel and RSJ post. Compared with chain link fence or welded wire fence, it is not only impossible to climb but also hard to break off with simple tools. 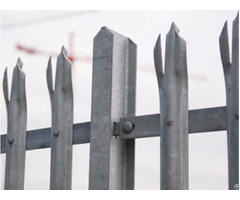 For clients' convenience, our palisade fencing is sold in the whole assembly containing pales, post, rails, bolts and other accessories when installed. Commonly speaking, the unit length is 2.75m. 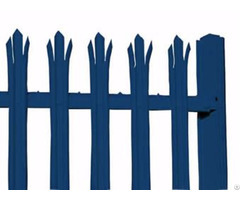 Go to palisade fencing overview to find more information. 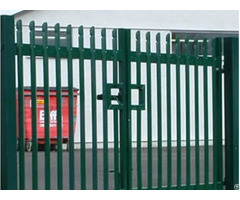 Depending on security level, palisade fencing can be divided into general purpose and high security fencing. General palisade fencing can be used as common perimeter fencing or boundary fencing for it is a little shorter and weaker than security palisade fence. Although general palisade fence don't share high level of security, it is an ideal choice for fencing applications for its easy installation especially along sloping conditions. High security fencing often employs w-section corrugated pale and its height is from 3.0m to 3.6m. The head style is one-pointed or triple pointed. Why should you choose us as your partner? 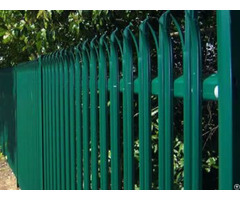 First, metal palisade fencing is made by steel sheets or steel sections. You see, carbon steel annual production in China is very high and the price is very low. So the basic material of fence making is lower. 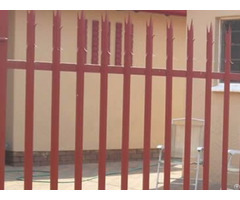 Second, one-stop palisade security fencing system saves your valuable time and spirit. 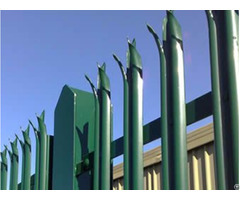 Full range of palisade fences provides you multiple choices. If not find the right one, custom sizes & styles are welcome. Third, all staff within Paulta will work best to satisfy your requirements. We’ll make different plans for you including head style, specification, color of powder coating, delivery time as well as price. Welcome to visit our factory if you have chance to come to China.